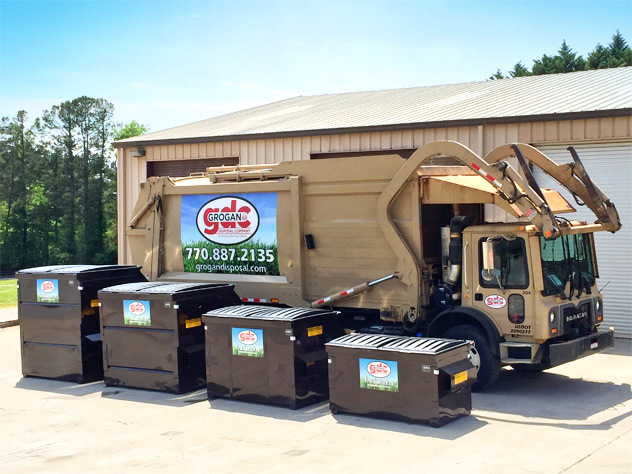 Grogan Disposal Company provides commercial waste pickup services 5 days a week in Forsyth, Dawson, Lumpkin, Cherokee, Pickens, and North Fulton counties and surrounding areas. We offer a wide variety of dumpsters, bins and compactors to suit any business location, plus the ability to customize our list of services to meet your company's individual needs. Our all-steel dumpsters with hinged lids come in 2, 4, 6, and 8 cubic yards, allowing you to safely store your waste materials out of sight, wind and weather. Great for your normal trash and waste needs. Comes in a variety of sizes and configurations to best meet your needs. Extra pick-ups are available at an extra charge. 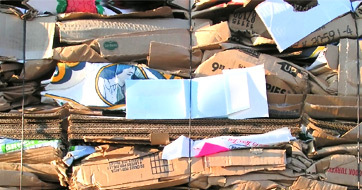 Our cardboard recycling program allows for businesses to have a separate container at reduced cost that is dedicated to cardboard. Our enclosed bins protect cardboard waste from the elements until it can be recycled. to arrange for a regularly scheduled garbage pickup.